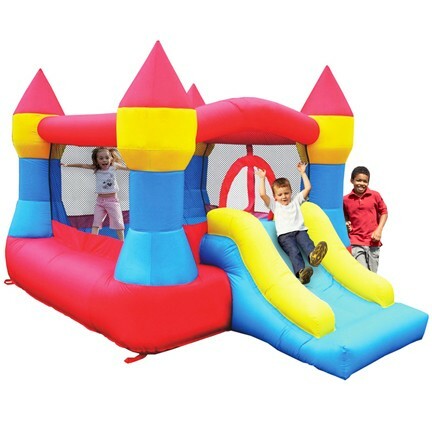 The Castle Bounce and Slide provides a great value for your money. This classic Bounce House design offers a large bounce area that is approximately 6x6.5 feet on the inside. The bounce house dimentions are 11.7x8.7x7'H overall. The slide is almost 4 ft long. Everything you need for this inflatable bounce house is included.